My first resource guarder was an adorable puppy named Moby, a dog so cute he could stop passersby in their tracks to fawn over him. The day I picked him up from the shelter, I didn’t even know what resource guarding was—let alone that I’d soon be training a dog out of it. All I knew was that I was bringing home the world’s most adorable 5-month-old puppy, and that he had abdominal surgery and two broken knees to recover from, so it was going to be a challenging foster, but I was sure I could handle it. Inexperience gave me a bottomless well of confidence. Um, no? And what does “food aggressive” mean? The comment worried me, but when I went back into the shelter to get some medication from an employee, I asked her about the issue and she assured me that he hadn’t even shown that behavior around her, so she wasn’t sure it was really a problem. Hmm. Well, okay, I thought. We’ll deal with it when it comes up, whatever it is. Maybe he growls when someone comes near his food. Maybe he doesn’t like to share a bowl. No big deal, surely. He’s so small…and did I mention cute? What looks to most people like the base of a redwood tree looked like a fun chew toy to Moby. I soon called PB SOC’s director, Delyse, to describe to her what had happened and ask her what to do. I was a nervous wreck by that point and wondering if I’d made a huge mistake bringing Moby home. At the time, I knew very little about dog behavior and pretty much nothing about dogs who would be provoked to attack another dog over something as benign as the presence of a jerky treat. She assured me that I could indeed handle the situation, and she told me what to do: 1. No toys or food present at all when the dogs were together; 2. Feeding time and toy-enjoyment time could only be done separately, using crates and closed doors as tools to ensure the dogs’ safety; 3. I could start training Moby out of his behavior with a careful set of exercises she explained to me over the phone while I took notes. Moby had to learn that not everything that fit into his mouth was food. Over the next week, I did the training exercises 3-5 times a day with Moby, and he did indeed become more and more relaxed when resources were present around other dogs. It seemed likely that before ending up at the shelter, he had gone some time without food and was desperate to make sure he didn’t starve. Once he understood that his food needs would be met daily and that no one was going to take his food away, he seemed to relax a bit. But more importantly, the time we spent doing structured training with him seemed to work wonders. We eventually got Moby to the point that he could politely wait for a treat and/or take a treat with my dog right next to him. We still fed the dogs separately at mealtimes, to be safe, but once we were over the hard part, we could offer them treats and work with them on training while they were together. Reno and Moby became great friends, in spite of the resource guarding behavior. To see the transformation in Moby was the most rewarding foster experience I’ve had. If he hadn’t been trained out of his resource guarding behavior before adoption, because it was so severe, the likelihood is very high that he would have been returned to the shelter by an adopter, or worse. Fostering isn’t always easy. Sometimes it’s challenging, frustrating, and exhausting. There are usually multiple times during the average foster experience when we wonder what the heck we were thinking in signing on for the project. I wondered that many times in the first few weeks with Moby. There were, honestly, times when I thought I was losing my mind (He had other issues besides resource guarding—he was a major project dog!). Sticking with it, getting past the hard part, and watching him blossom into his best self though? It’s an experience I will treasure for the rest of my life. I would not change it, and what I learned from working with him made me a much more experienced dog person in the space of very little time. Moby never fully learned that he wasn’t king of the couch, but this was surely a human issue and not a dog issue. I mean, who could resist that face?! Incidentally, in talking to other foster providers over the years, I’ve learned that it’s often the most difficult foster cases people have the hardest time letting go of when it’s time for adoption—because seeing a dog grow and change, sometimes profoundly, is such an incredibly rewarding experience. It changes us for the better, too. Moby was adopted by a truly wonderful family in Davis, and they send me photos and updates on him, which has helped me feel sure he’s with his meant-to-be family. He was the dog that secured for me a lifelong passion for and commitment to fostering whenever I can. Think you might be up for the challenge? 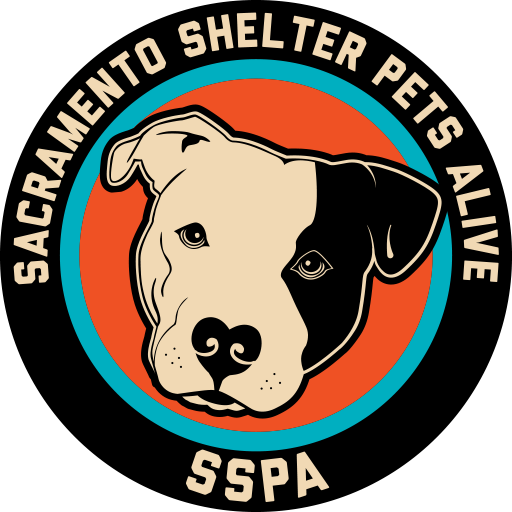 Email us today at sacramentocountydogs@gmail.com.